Well what can I say, I have always been into animals and Reptiles in general. It’s been from fish to hiding snakes up in my bedroom. My mom was deathly afraid of the feeding part. Mice and rats you know the story when you move out you can have as many snakes as you want. Well I took it to heart! Well needless to say I got married in 1995 and we had our first son Kevyn. 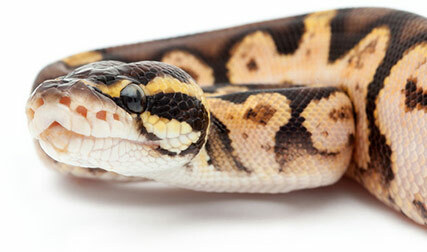 I talked my wife who was afraid of snakes into keeping a pair of Brazilian Rainbow Boas. She didn’t like the idea but went with it. In 1998 we had our second son, Alex who today has the enthusiasm and the love of Reptiles as I do. 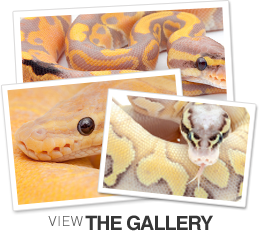 As the boys got older my collection began to grow from colubrids, to Boas, to Ball pythons. I worked many extra jobs to pay for my hobby that got out of control. I take a lot of pride in my collection and enjoy the feeding, cleaning, and everything else that goes with it. I have a full time job working construction and I put as many hours in my basement with my animals as I do at work. Some of my friends in the hobby come over to look at the animals and trip on me how clean I keep them! That’s just the way that I am. I am very lucky to have a understanding and supportive wife and two wonderful children to enjoy this hobby with. Because at the end of the day all you have in life is your family, friends, and your collection!